Baby Girl is lucky to be alive today. She owes her life to a caring, motivated lady from New Hampshire, who was committed to taking in a debilitated old dog and make her whole again. Adopting a Senior Dog is Rewarding But Requires Research and Planning. 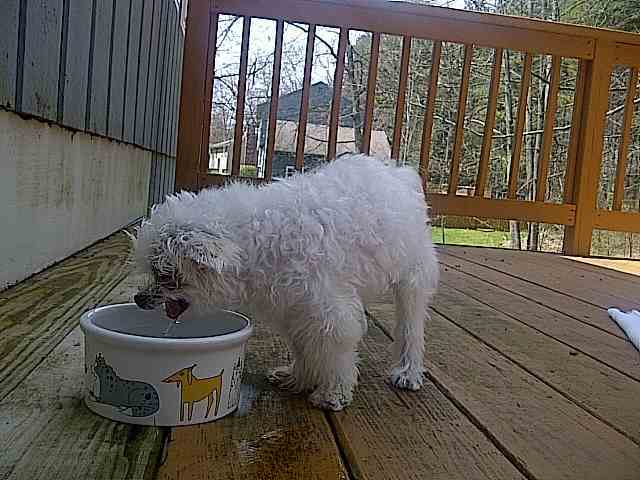 We all love our dogs, so it is often hard for us to truly understand how a small Poodle – Maltese mix could end up in the condition that Baby Girl was in when she was finally found. It is also the testimony of the tenacity and persistence that our canine friends possess just to stay alive. At the age of 14, Baby Girl would not have been an attractive choice for most people wanting to adopt a new dog. Seniors are usually the last dogs that get adopted. But this remarkable lady was up for the challenge. This story also highlights the fact that many of our dog rescues move around the country before they end up in their forever homes. Pet Finder.com is often the internet site where people find an adoptable dog. Unless you find your perfect dog in a nearby local shelter or rescue, this online source is the next best thing because you have a choice in gender and breed. You also have a much larger selection of adoptable dogs than you would if you restricted yourself to your local shelter. Baby Girl was wandering around a Florida golf course ready to fall into an alligator pond, when someone saw her and turned her into a shelter. From Florida, she was transported to a Rescue Center in Arkansas where she was cared for until she was well enough to travel. as defined by the dictionary, means “in good health; free or recovered from illness.” Her current owner would later attest to the fact that she was anything but "well." But travel she did, not in a plane or car, but in a semi, a frequently used vehicle for moving large numbers dog across the country. The drivers of the truck were transporting other dogs, but determined that this one would not likely make the long haul, so they allowed her to stay with them in the cab. Baby was so determined to live that she did make it but was still very close to death upon arrival. 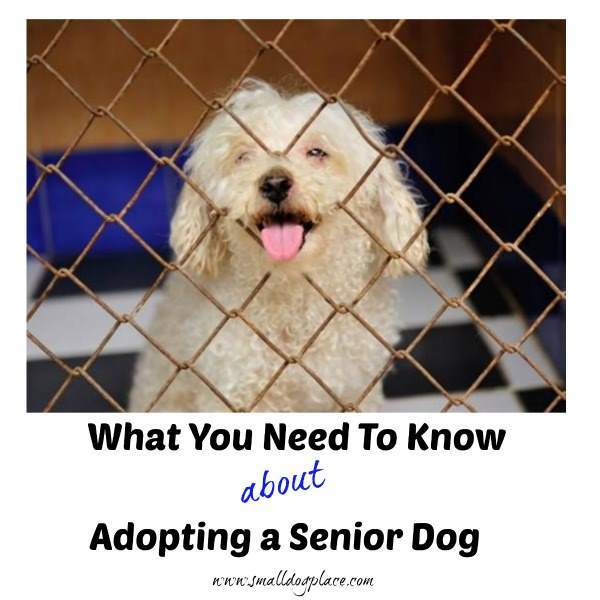 Senior Adoption is often easier and less expensive than adopting a puppy. Her new owner drove to Connecticut to meet up, pay her adoption fee of $250 and take possession of her new fur baby. At 3.4 pounds when she arrived, there was a very good chance that this little one would not make it. Her condition suggested that she had been wandering for a very long time, living on her own, and picking up every disease and injury that a dog could sustain. Worse yet, some of the injuries and infections diagnosed later on would suggest that she may have been owned, kept in close confinement, and severely neglected for most of her life. 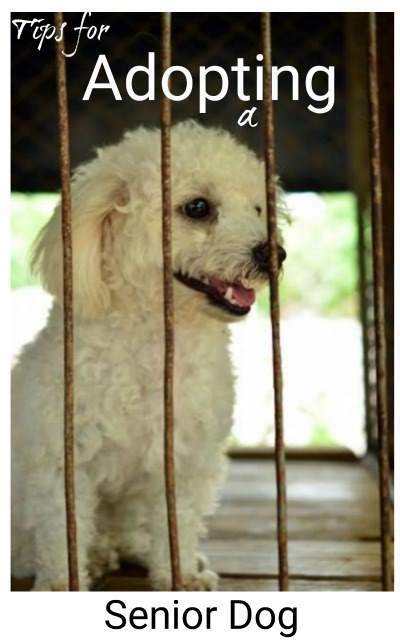 The fact that she was not spayed suggested that she may have lived in the deplorable conditions of a puppy mill, only to be thrown out when she was too old to produce puppies. All of this, however is speculative as no one knows for sure where she came from. She moved into her new home and that is where she began to heal. Broken and rotting teeth made it impossible for her to eat. Veterinarians found every conceivable germ in and on her tiny body: Bacteria, Fungus, Yeast, just to name a few. Both her ears and her eyes were infected and tests revealed that she had hyperthyroidism. She was diagnosed with five different strains of bacteria including E. coli, MRSA, E. faecalis, and Bronchial Pneumonia. Strong antibiotics would be required to tackle so many different microbes. Chronic malnutrition left her with Rickets and a malformed spine. Urine burned her skin and she had a tumor on her right shin bone that was later removed, cultured and identified as Sarcoma. But the story doesn’t end there. Thanks to her new owner and a team of dedicated veterinarians and technicians, treatment began in earnest. Decayed teeth were removed and she was spayed. The tumor was excised, ears cleaned and medicated and she was given the normal set of vaccinations that dogs need to stay healthy. She was prescribed the usual flea and tick medicine and started on a heartworm preventative, Heart Guard. Luckily, Hyperthyroidism is a relatively easy disease to treat with a synthetic hormone called Syntherol. All of her skin conditions, however, were another story. She required extensive grooming due to years of neglect. A special shampoo called Septiderm, was recommended. Septiderm is an antiseptic, anti-bacterial shampoo that also deodorizes and reduces itching and inflammation. Additionally, the vet suggested Baby Girl take Fluconozole, an antifungal medicine that will treat yeast infections on the skin and ears and also take care of any internal fungal infections that has attacked the lungs and other organs. Fungal infections such as Black Mold not only harm humans but is very dangerous to our canine friends. At some point in her life, this little girl must have come in contact with the dangerous fungus and is slowly recovering. Finally, laxatives were given to flush out anything that she may have ingested including her own stool. After the intense inpatient treatment and daily medication regime, I am glad to report that Baby Girl is most definitely on the mend. She still receives Bragg Apple Cider Vinegar With the Mother which continues to heal skin infections, aids in digestion and eliminates the fungus in her body. She gets a good dose of 100% pure” Cod Live Oil," every week, which is helping to increase her bone strength, and has greatly reduced heart, and eye issues. Baby Girl is a happy girl with a new outlook on life. She’s a chubby, relaxed, warm dog that loves being part of a family for the first time in her life. Though not fully potty trained, she is even learning to swim! She wears a tiny yellow swim vest and takes swim lessons in the bath tub. The warm water is soothing but is also helping improve muscle strength, and heal the pain of her orthopedic problems. As a 15 year old, she sleeps quite a bit, but her soft five-inch Easter Bunny is there to keep her warm and safe. "Bunny" has become her arrogate child. Baby Girl’s story has ended well, but not all dogs are as lucky as Baby Girl. Many senior dogs never make it beyond the perimeter of the shelter. The sad truth is that senior dogs are never the first to be selected and most are not chosen at all. Adopting a senior dog from a rescue organization, humane society or a shelter is a wonderful way to bring a dog into your home. Not only do you gain a new friend but you also save a life too. So many people want puppies, but there is a lot to be said for older dogs and seniors. Seniors are likely to be more settled and do not have all those crazy puppy characteristics that require one to be constantly alert to those puppy antics. 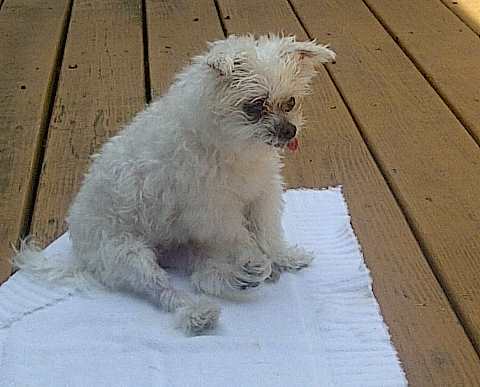 Unlike Baby Girl, many seniors have lived in a home and have some skills including potty training. But, as the story of Baby Girl reveals, medical issues are likely to be more of a problem in seniors rather than in younger dogs. After having a wide-range of experiences with adopting special needs dogs, this seasoned adopter offered some advice for anyone considering adopting a previously owned dog. What should you be reading you might ask? Most adoptable dogs will come with some information about their past and their medical needs. Understand what is involved with those medical problems. Are they treatable? Are they life threatening? Will I have the time and resources to attend to their needs? Dogs can get many of the same health problems as people and in fact, researchers study canine genomes with the intent of learning more about human health. Cancer, Diabetes, Heart, Liver and Kidney Disease and many other problems are just a few of the areas under investigation. Results will not only help our dogs but benefit human health too. Just about all dog diseases are covered somewhere on the internet but don’t rely solely on what you read online. Ask your vet for advice. Veterinarians can treat a wide range of disorders, but specialists are often called in to make up the gap between what your vet can and cannot treat. Ask your vet to help you understand the dog’s issues before you agree to adopt. Do not agree to adopt a senior dog if the issues are too overwhelming to you or your vet. It is important that your vet is on board, invested and involved before the senior dog arrives at your home. There is nothing casual about adopting a senior dog. While dogs do not live as long as we do, with the proper care, they can live long happy lives. In our “throw away world,” it is easy to think that dogs will be just fine if we decide we no longer want them. There could not be anything further from the truth. Pets should not be an impulse buy but rather a well thought out and researched decision. They should not be given as gifts. Dogs require our commitment now and in the future to meet all their needs. Baby Girl lives with a cranky, demanding 15-year-old Jack Russel Terrier named Sampson. Sampson arrived in the household at the age of 9 after being relinquished to a shelter because his previous owner could no longer care for him. He was the children's pet and they were headed off to college. The parents were not interested in caring for him any longer. I wanted to let you know that my Little, Baby Girl is failing. She visited the Vet today, they agreed she does not have long, perhaps a few days to a week, not much more time than that. It is ok, she is well loved, treasured and she will go peacefully with her "Easter Bunny" in her paws and dressed to the nines. I love her and I have given her the guidance that she needs to move along into her next life. AS much as I want her to live on, she is so frail, tiny and now weighs 3.75 lbs, she's lost weight. Janice, thank you soooooooooooo much for the times we spoke and your love and care for her and her story! I am so glad that Baby had a story written about her!! She is charming, little girl who needed to give and be loved. She had that here. I will miss her deeply, but she will go to a better, painless life soon. I am so grateful that she and I met and were able to share love for each other, and I will see her again, in the future. She will wait for me. Thank you, again. Thank you so much! Do You Have an Adoption Story You'd Like to Tell? Please hop on over to our many adoption resource page and scroll to the bottom. The form there will give you plenty of room to tell your story including uploading up to four pictures of your dog.